The Illuminate Down Hoody and Jacket are the lightest, warmest, easiest-to-grab midlayer pieces that pack 800-fill responsibly sourced down insulation into their own left-hand pocket. 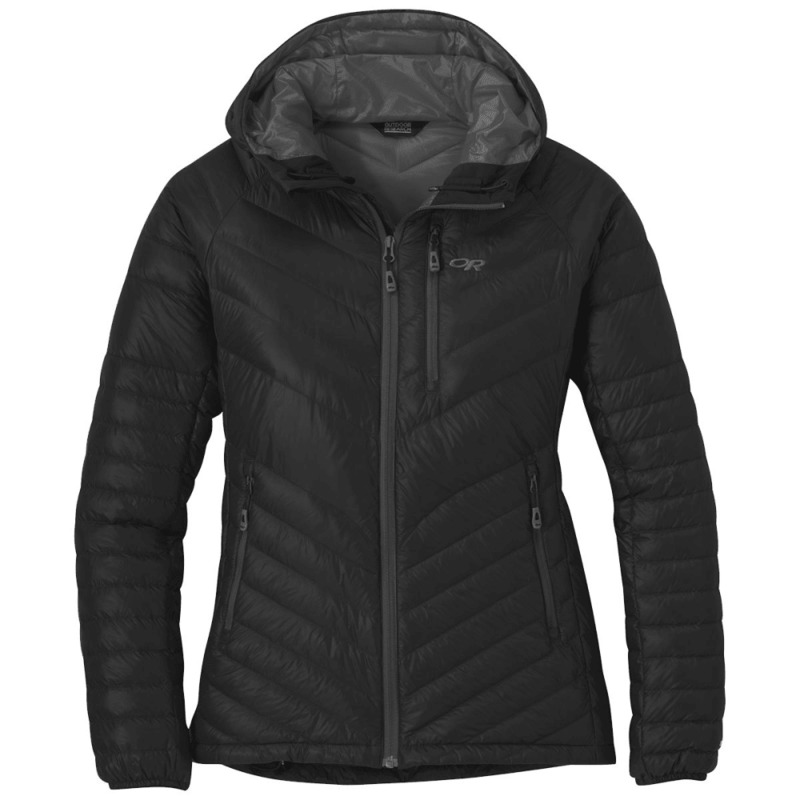 A sturdy nylon shell and lining provide light weather resistance and next-to-skin ultra-soft comfort, while fine-tuned details like a brushed tricot interior and zip chest media pocket ensure hands and valuables stay warm, dry, and safe. Elastic cuffs and a drawcord hem trap in warmth and seal out cold, and a color-blocked design looks as good as it performs in freezing temps.